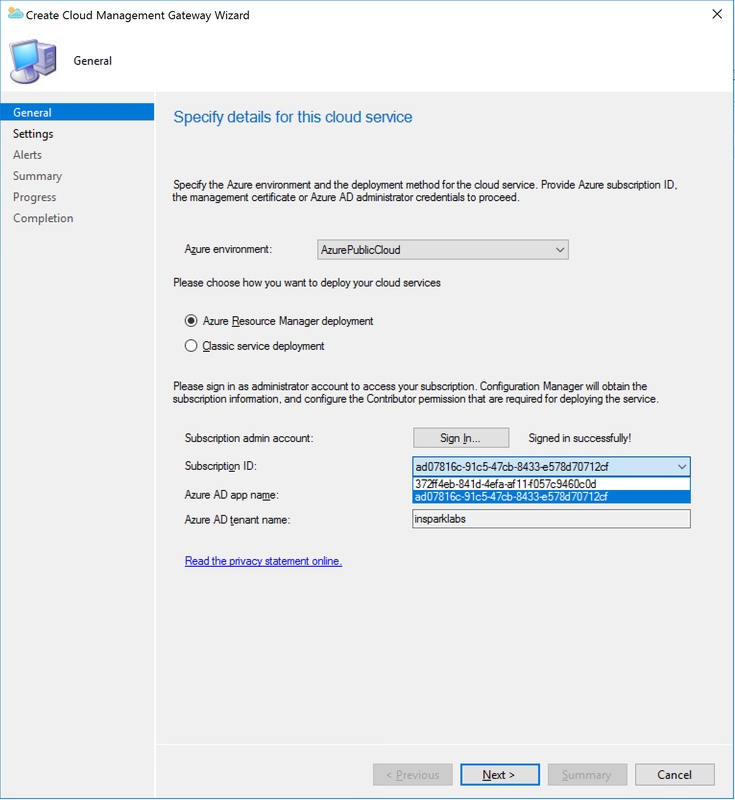 Converting your CSP subscription to an eligible Azure subscription is no option here (managed by CSP Partner). Therefore I would like to take you how to deploy a CMG while you’re on a CSP subscription. Yes it’s possible! In this blog I’ll describe what it takes to achieve this.The Subscription Configuration wizard during a CMG set up using a CSP subscription will fail and results in the following error below. As CSP does not support classic cloud service deployments we need in addition to our current CSP* subscription, another Azure subscription. This can be a pay-as-you-go or in our example* an Visual Studio MSDN (MS-AZR-0029P) subscription. *This feature isn’t available for CSP (MS-AZR-0145P, MS-AZR-0146P, MS-AZR-159P) and Microsoft Imagine (MS-AZR-0144P) subscriptions. *In this post we used an MSDN subscription as an example, which is not recommended for enabling production workloads. In essence we need to create resources in the Visual Studio subscription (grey – right) with an account sourced from the Azure default AD tenant (light blue – left) associated to the CSP subscription. Now the administrative user account of Visual Studio subscription (B) have been added to Azure AD tenant (A) we can change the default directory of the Visual Studio subscription (B). 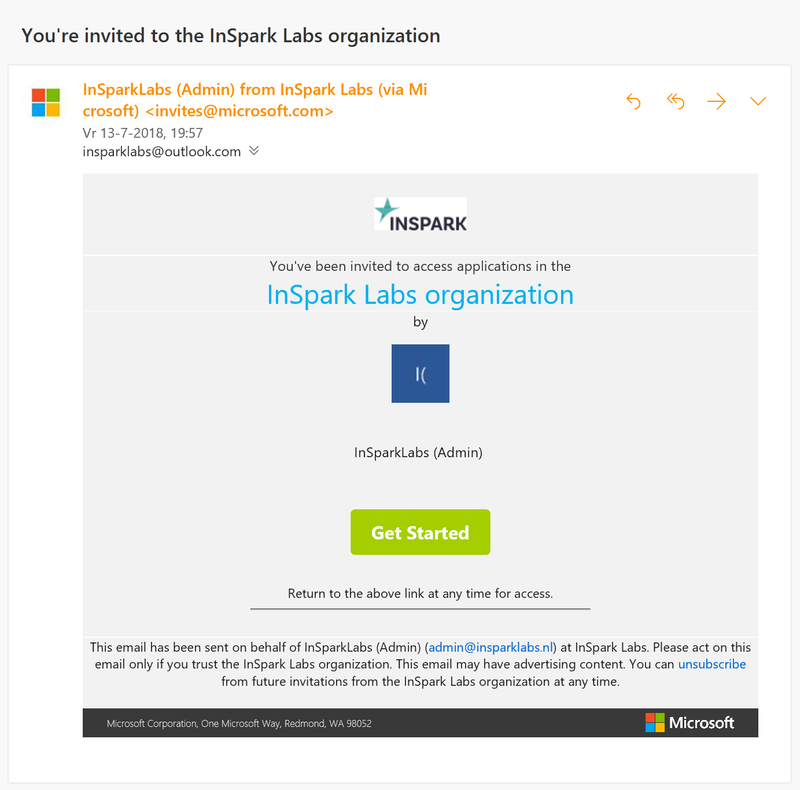 Change associated directory (InSparkLabsoutlook.onmicrosoft.com) of Visual Studio subscription (B) to new Azure AD tenant (A) insparklabs.onmicrosoft.com. 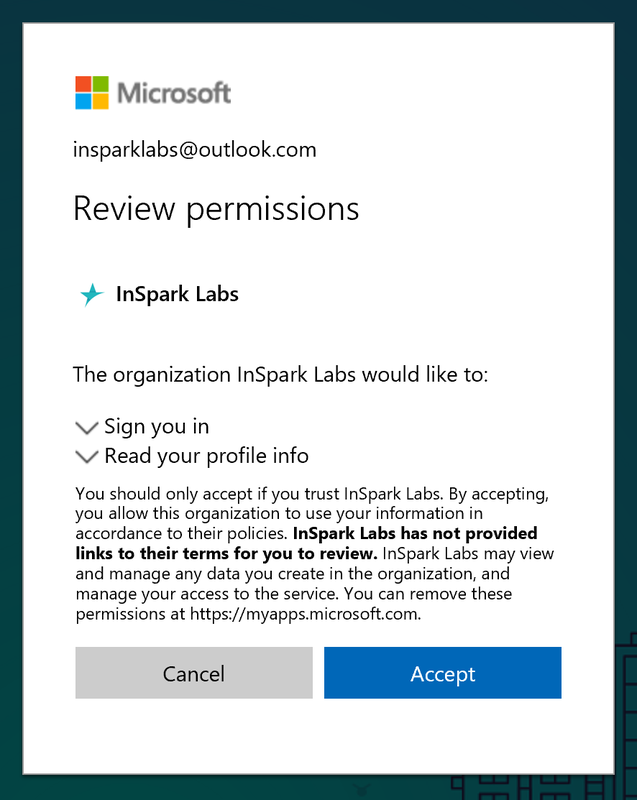 Next step is to grant Azure AD admin account (A) permissions (owner & co-administrator) to Azure Visual Studio subscription (B). Now we changed the directory of Visual Studio subscription (B) to Azure AD tenant (A) and granted access to Visual Studio subscription (B). 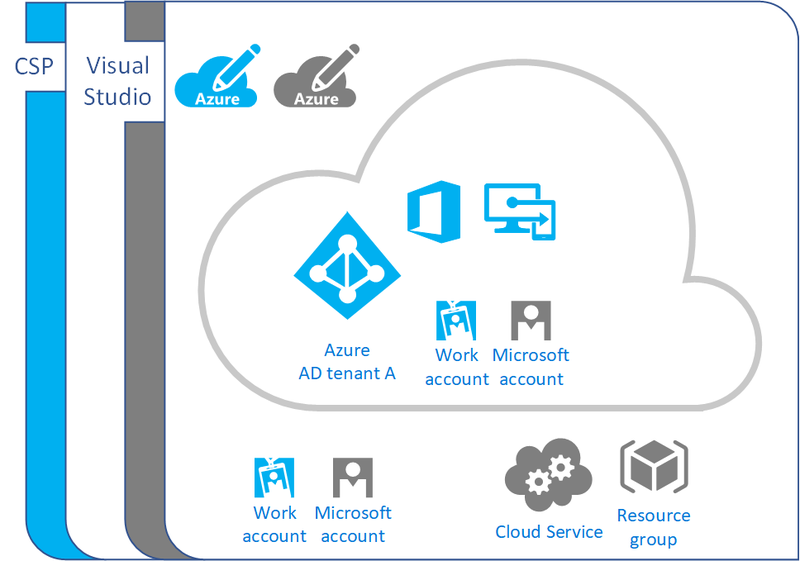 As we are able to create & manage resources in Visual Studio subscription (B) with an administrative account sourced from Azure AD tenant (A) we are ready now to deploy cloud services including a CMG. When deploying a CMG and signed in with an administrative user account of Azure AD tenant (A), now we have two Azure subscriptions (CSP & Visual Studio) available. 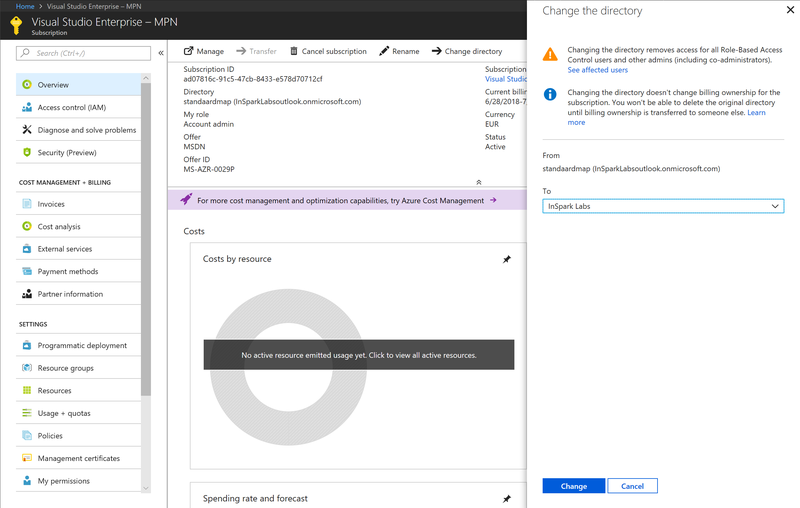 In this blog post we described how to extend you current Azure CSP subscription using an additional Azure subscription, associate (change directory) it to your default Azure AD tenant and grant permissions to the new Azure subscription. This allows you to create & manage cloud resources – and thus deploy a CMG – with your Azure CSP subscription as staring point.